Professional soccer player who rose to fame playing the center back position for Brazil's Sociedade Esportiva Palmeiras. In 2018, he would begin playing for Barcelona. He has gone on to amass more than 3.3 million followers on his yerrymina Instagram account. 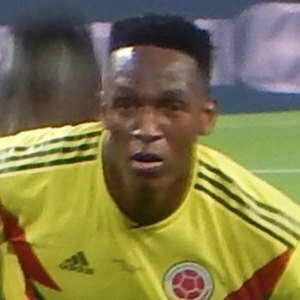 He began his career playing for the Asociación Deportivo Pasto in 2013. During the 2016 season he scored a total of four goals with Palmeiras. He is the son of Marianela González and José Eulises Mina. Both he and Eduardo Pereira Rodrigues played for Palmeiras.